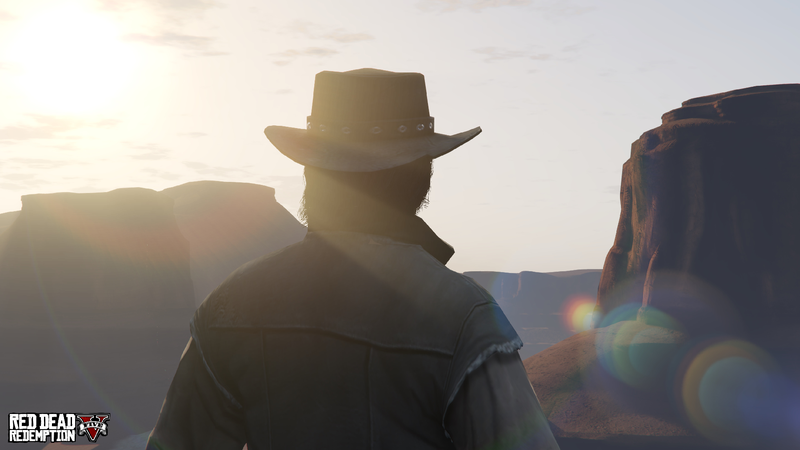 Last month, the mod group known as .White announced “Red Dead Redemption V,” a project that would incorporate Red Dead’s map into Grand Theft Auto V. But soon after releasing a teaser trailer for the mod on Friday, the group decided to cancel the project. “I know this is hard pill to swallow, but as you may have noticed we did get contacted , and we sadly have to say we are stopping this project,” wrote Mr. Leisurewear, the mod’s lead programmer, on the same day the trailer was revealed. “So thanks guys, we were all so happy to see this, but it isn’t going to happen, sorry.” The trailer had been taken down before many fans of the fledgling project even got to see it. With the release of the teaser for the GTA V mod, .White explained that “Red Dead Redemption V” would take the map form the Xbox 360 version of the game, port it to the GTA V engine, and expand it in the process. In remaking the map, the group planned to add “Parallax Occlusion Mapping and Tessaslation where applicable.” The original FAQ for the mod stated that .White hoped to have a working beta available sometime this summer. Of course, the game’s official sequel, Red Dead Redemption 2, is also set to release sometime later this year, so it’s not surprising that Rockstar, or Take-Two Interactive, the developer’s parent company, would come down hard on any fan-made projects that might steal interest away from the new release (assuming that’s who contacted Mr. Leisurewear, who didn’t say). It’s not uncommon for mods like “Red Dead Redemption V” to get canceled once the companies who own the intellectual property they’re based on catch wind of them. Bethesda shutdown the free roguelike DoomRL late last year, while in 2012 Warner Brothers sent the makers of a Lord of the Rings-themed Skyrim mod a cease and desist order. Even Project M, the beloved Smash Bros. Brawl mod that tried to recreate the game using the physics and timing of Melee, eventually ran into trouble. There are always ways to try and not get sued by game companies, but for .White, who had already invested two years of research and programming into “Red Dead Redemption V,” it appears to be too late. Take-Two has not yet responded to a request for comment.